With all the trail cams out there we have to have some funny or strange pictures. This is one that I had on mine. I am guessing that the red glow from the infra red flash got this owls attention. There was no damage to the camera so he didn't make any contact. Looks like he is flying in to take a closer look at your trail cam. 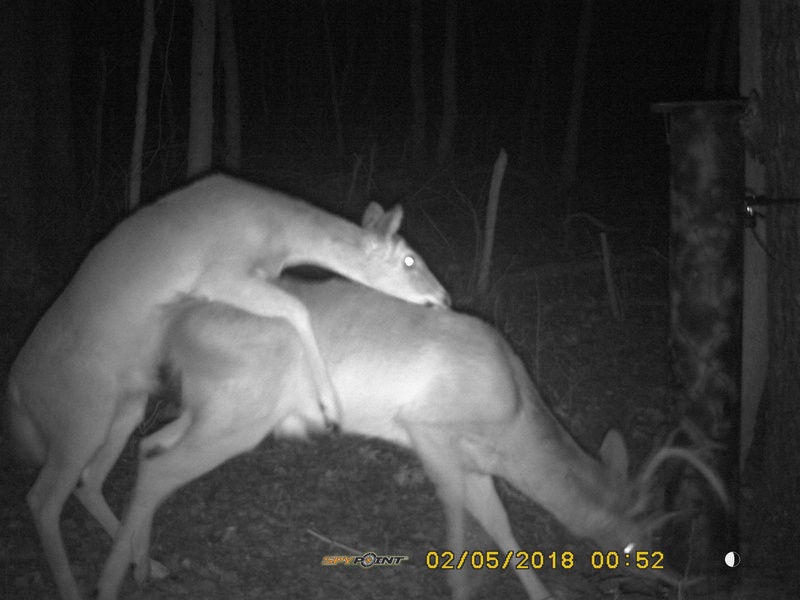 Things get a little freaky when the sun goes down in my woods. That buck must have been wearing Hai Karate cologne from the 1960's. If you turn up the sound you can hear a banjo playing.